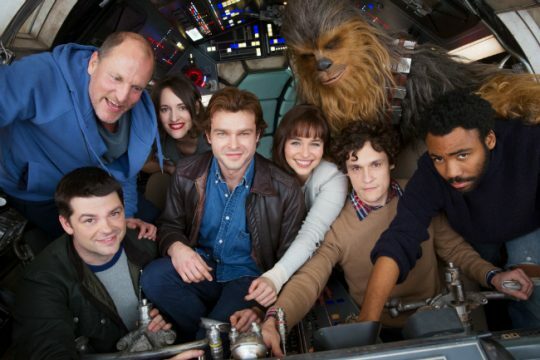 The much-anticipated Han Solo anthology movie began filming back at the end of January and today, we have our first photo from the set. Initially, it doesn’t look like much, but upon closer inspection, it might just reveal that a beloved locale from the franchise’s past is making a surprise return. The set photo comes courtesy of an overhead shot taken by a drone for a local news site in Fuertaventura in the Canary Islands, where the movie is filming. Have a look at the image below and ask yourself if any familiar Star Wars location springs to mind. 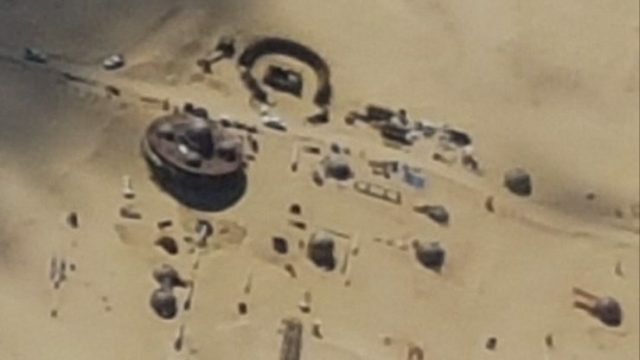 Yes, it looks like directors Phil Lord and Chris Miller are using Fuertaventura as the location for Tatooine, the desert planet that’s home to the Skywalkers, Obi-Wan Kenobi, Jabba the Hutt and many others across the franchise. Of course, it could actually be Jakku instead, the similarly desolate world introduced as Rey’s home in The Force Awakens. Given Tatooine’s history, though, we’d bet on it being the former. Han Solo is no stranger to the planet, for one, as Luke and Kenobi first encountered the scruffy-looking nerf herder in Mos Eisley’s Cantina in A New Hope. This is an exciting development that gives us a little more info about the actual plot of the movie, which we really don’t know much about at this stage. What we can confirm, however, is that the still untitled film will star Alden Ehrenreich as the young Solo, Donald Glover as the young Lando Calrissian and Joonas Suotamo as Chewbacca. Meanwhile, Emilia Clarke, Woody Harrelson, Phoebe Waller-Bridge, Thandie Newton and Warwick Davis have been cast in supporting roles that are being kept tightly under wraps – and will likely continue to stay that way. Phil Lord and Chris Miller (21 Jump Street, The Lego Movie) are directing and Han Solo (or whatever it ends up being called) is set to blast onto the big screen (in under twelve parsecs) on May 25th, 2018.